Lewis Hamilton secured pole position for Mercedes on Saturday at the Hungarian Grand Prix after a tough qualifying session in rainy conditions at Hungaroring. The British driver will start ahead of team-mate Valtteri Bottas and Ferrari rivals Kimi Raikkonen (third) and Sebastian Vettel, who could only manage fourth position, in Sunday’s race (17:10 start, UAE time). Lewis Hamilton made his feelings known on Instagram. 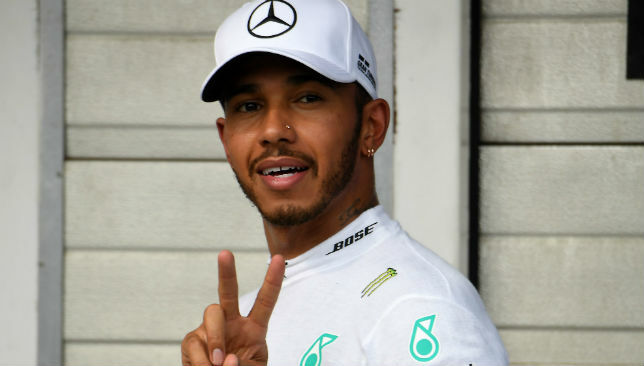 Lewis Hamilton was encouraged by Mercedes not to delete an Instagram post in which he accused Sky Sports‘ pundits of “undermining” him. Formula One’s world championship leader criticised elements of the broadcaster’s German Grand Prix coverage after he sealed a famous win from 14th on the grid. “I find it amazing listening to the ex-drivers commentating [and] not a single one of them could find a good word to say,” Hamilton wrote on Instagram before removing the post. 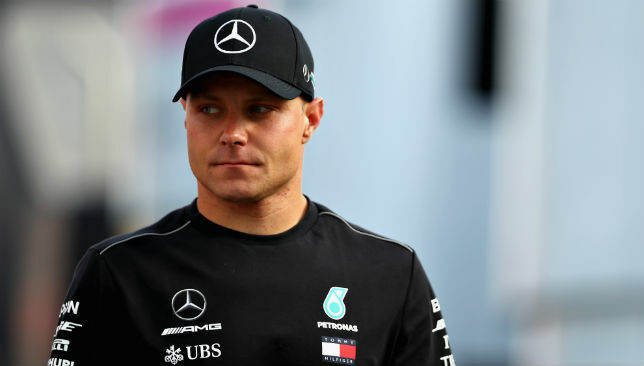 Nico Rosberg was among Sky’s punditry team for the Hockenheim race, but it is understood that Hamilton’s criticism was not aimed at his long-term rival. Martin Brundle – who competed in 165 grands prix before establishing himself as television’s voice of F1 for the past two decades – and Britain’s 1996 world champion Damon Hill were both among Sky‘s team in Germany. “I had a conversation with Lewis about it on Sunday night,” Mercedes team principal Toto Wolff said. “I actually encouraged him to leave all that stuff online. 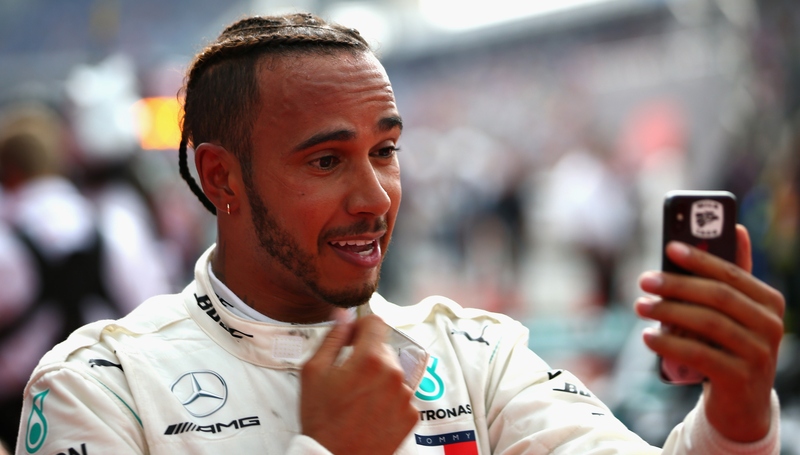 Hamilton, who moved 17 points clear of Sebastian Vettel following his extraordinary win, has become increasingly vocal online in recent weeks. After the British Grand Prix, he issued a series of posts responding to those who had accused him of being a sore loser. In Germany, he published a four-page story to Instagram after he broke down in qualifying. “Lewis says things like he means it,” Wolff added. “It is great that he wears his heart on his sleeve. We are humans, we have emotions, and we are influenced by what others say. “I take things personally when perhaps I shouldn’t care about an opinion that is not relevant to me. I should respect that an opinion is different to mine, but that is very hard to do after an exhausting rollercoaster ride of a weekend. Wolff also dismissed the notion that F1 stewards should adopt a version of football’s VAR to speed up their decision-making process. Hamilton was not declared the official winner until three hours after Sunday’s race following an investigation into his aborted pit stop. Hamilton was reprimanded to avoid a timed penalty, as was handed out to Vettel and his Ferrari team-mate Kimi Raikkonen, for their respective collisions with Bottas and Hamilton in the races at France and Silverstone. “The stewards made the right decision [with Hamilton],” Wolff said. “It was possible that a five-second penalty could have been applied but that wouldn’t have been the right thing for the sport. Lewis Hamilton has insisted he will not sink to Sebastian Vettel‘s level by seeking radio revenge if he triumphs on his rival’s home turf. 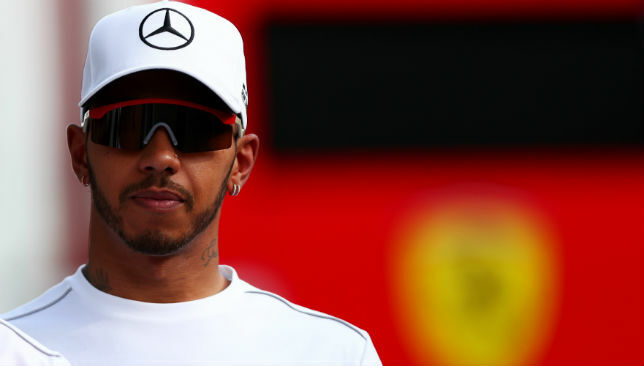 Hamilton will head into Sunday’s German Grand Prix eight points adrift in the championship standings following the Ferrari driver’s win at Silverstone a fortnight ago. Ferrari stoked the rivalry further by headlining their triumphant post-race press release with an ironic play on words. “A hammer blow,” they wrote. Mercedes’ Formula One operation is based only a stone’s throw from Silverstone, while Hamilton’s comeback drive from last to second – after he was punted off at the first corner by Vettel’s Ferrari team-mate Kimi Raikkonen – was cheered on by 140,000 British fans. Responding to Vettel’s radio message, Hamilton said: “I heard something was said, but I see that as an act of weakness. It doesn’t affect me whatsoever. Good for him. “We will keep our heads down, keep quiet, and focus on doing a better job across the board. That is our approach right now. Hamilton’s own conscience wasn’t exactly clear in the moments after his defeat at Silverstone. He snubbed an interview with broadcaster Martin Brundle before accusing Ferrari of dirty play. Hamilton’s wild theory was that Ferrari had hatched a plan to wipe him out of contention by ordering Raikkonen to bang into him on purpose. A day later, Hamilton admitted he got it wrong, and said sorry to Raikkonen in a series of apologetic posts to his 6.7million Instagram followers. Hamilton and Mercedes moved on by ending the 33-year-old Briton’s long-running contract saga by ensuing his future on the grid for at least another two seasons. 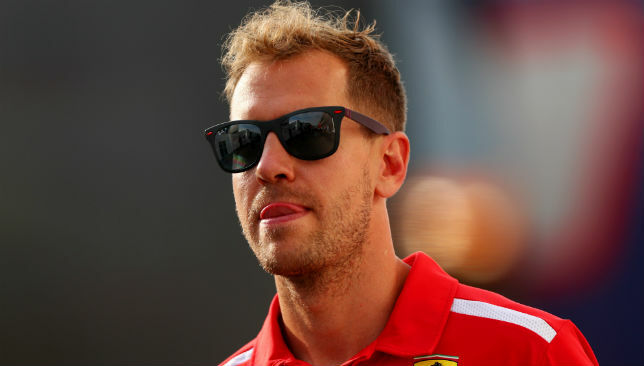 He will be rewarded with an eye-watering £80million, and will once again be partnered by Valtteri Bottas after Mercedes resisted the temptation of signing Daniel Ricciardo from Red Bull. The scars of three years of toxic in-fighting between Hamilton and Nico Rosberg remain too raw, while Bottas has proved an able understudy. “I am sure for the team there were questions and discussions at lunch,” Hamilton continued. “‘Is he staying? Is he not staying?’ So, now this has been announced it has stopped all of that, and we can now embark on a strong future together. “I now can put every bit of energy and every bit of thought into this championship. There are no questions lingering around so for the team that is a positive, and we need all the positive energy we can get to fight. Hamilton finished second in both practice sessions on Friday with Ricciardo, and latterly Max Verstappen, leading the way for Red Bull. Vettel was fourth fastest.